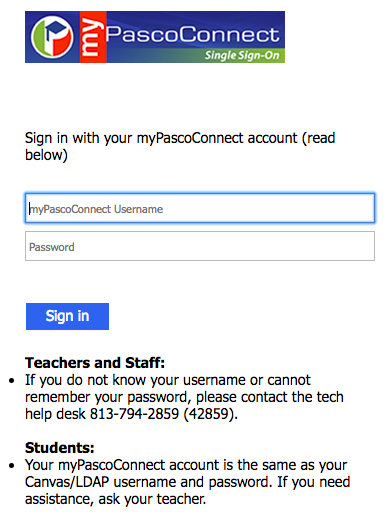 Canvas Quick Start | Pasco eSchool - Personalize Your Learning Experience! 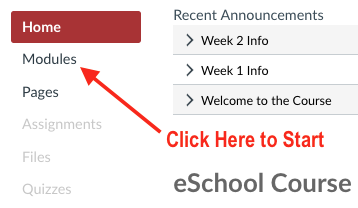 Welcome to your Pasco eSchool course on Canvas. You need to complete your welcome call before you begin working. Step 3: Your course will be a tile on the Dashboard (home page) or you may need to find it in the list of courses. 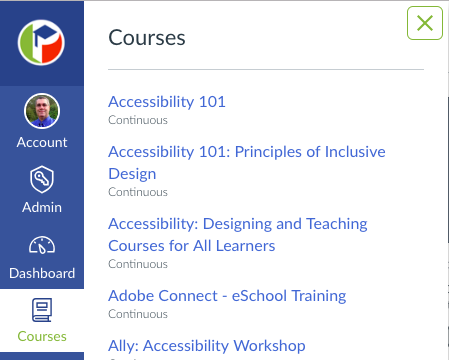 Choosing All courses at the bottom of the list will allow you to mark the courses as a favorite by clicking the star in front of the course name. Step 5: Your Pace Chart for the course can be found by choosing Grades from the left menu. You can print or save to PDF by clicking on the print icon on this page. Step 6: On the left hand column (the course navigation menu) click on Modules. Step 7: Choose the first item at the top of the list in Modules. Think of Modules as a table of contents for your course. As you move through the course go to the bottom of each page and click Next to continue. It is that easy! Follow the list of items on the Module page and complete them in order. Otherwise Canvas will not let you continue. If you have technical issues and need help please click on the Help link and then Report a Problem from the page you are experiencing an issue. We will work to resolve your issue as soon as we receive the notification. 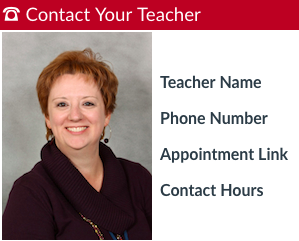 If you have any course related questions do not hesitate to contact your teacher using the info on the course homepage. Good luck on the start of your journey! Watch the video below for additional information on navigating your Canvas course.